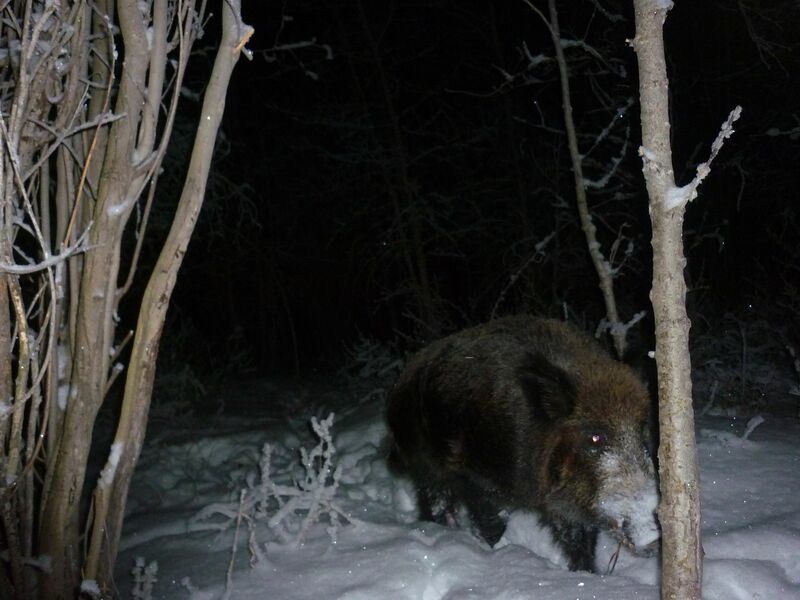 The CCWHC Western and Northern Region recently examined the carcasses or internal organs of 21 wild boar culled from an area around Moose Mountain Provincial Park in the southeastern part of Saskatchewan. These wild boar are currently being tested for diseases and in particular diseases that may be spread to, or from, domestic pigs. Wild boar can be infected with a range of important infectious diseases of domestic animals, including: classical swine fever, brucellosis, tuberculosis and trichinella, as well as infectious diseases of humans; including: hepatitis E virus, tuberculosis, leptospirosis and trichinella. For example, in 1993 an outbreak of human trichinellosis in Ontario was linked to the consumption of wild boar meat originating from 2 farms in the province. Although trichinella appears to be rare in farmed wild boar, there has been very limited surveillance of free-ranging wild boar. Similarly, although there is currently no evidence that free-ranging wild boar are infected with the other diseases listed above the surveillance conducted to date has been extremely limited. Wild boar are native to Eurasia and were introduced into the continental U.S in the 1500’s but their introduction into Canada is much more recent. 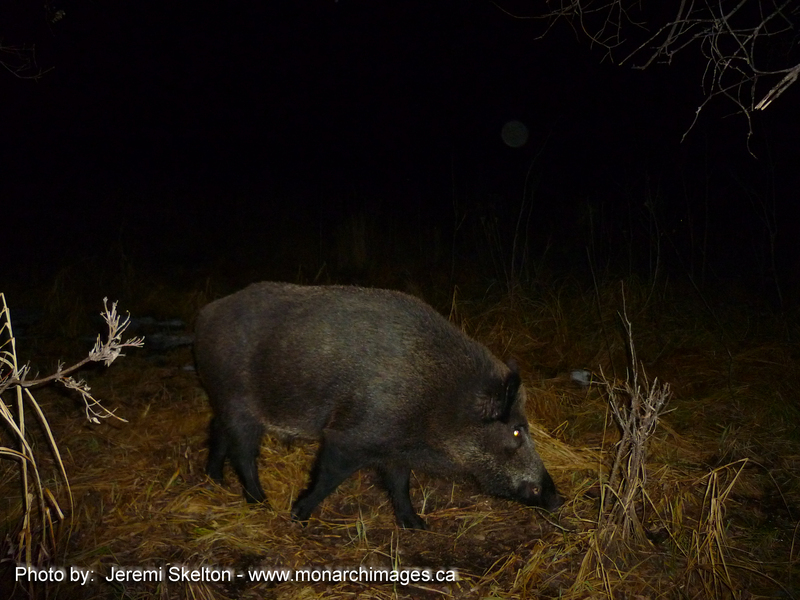 Free-ranging wild boar on the Canadian prairies are escapees from game ranches or from the purposeful release of boar for hunting. Experience from elsewhere indicate any minor economic benefit from wild boar farming or from hunting free-ranging wild boar is more than offset by the cost associated with their destruction of agricultural crops, destruction of native species and habitat; the cost of control programs; and the cost associated with wild boar acting as reservoirs of disease for domestic animals and humans. Free-ranging wild boar are increasing in number and geographic distribution in Saskatchewan and in many other locations in North America. 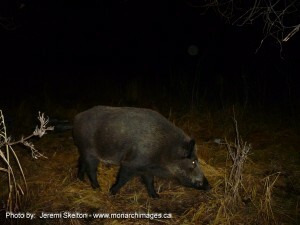 Please visit wildboarsaskatchewan.ca and mark a point if you see or kill a boar. Every bit helps and if you can let people know where the boars are the more can be done.